In first part ,I talk about importance of food. You can´t achieve good physique without proper food. In my first article I mention 3 meals per day, but that is for start. You have many options when it comes to number of meals per day. You can go from 1-6 or in extreme cases more meals per day. It´s all up to you and your goals. You have plenty diet plans, but I will stick with 3 meals if you begin to exercise. If you eat 3 meals of healthy food ,your body will improve. Now, we start with some basic body exercise. If you are beginner, healthy food and basic bodywaight exercise will help you change your body and will improve your energy. You want to start with basic bodyweight exercise it will benefit you and it´s free. After you get stronger and get comfortable with some exercises than you can start with some weight, but its not necessary. If you are beginner you want to stick with exercises that work on several muscle group in same time. If you can´t do any push up this way, put your knees on the ground ,it will make them easier. Do push ups with your knees on the ground until you get stronger and can perform at least one push up, like it show on the picture. 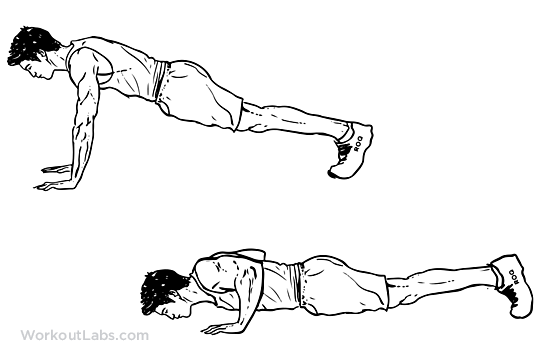 Same like push ups, if you can´t do it these way, there is easy alternative. Easy way, push yourself with your feet in first position from picture and slowly go down. Repeat that until you get stronger and can do it just with your hands, like it show on picture. This is hardest exercises. 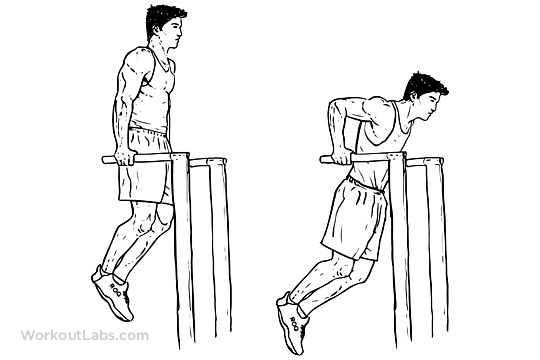 Easy alternative is same as dips, push yourself with legs on position two from picture and than go down slowly. This is exercise where you should not have problems. For this exercises exist harder alternative. 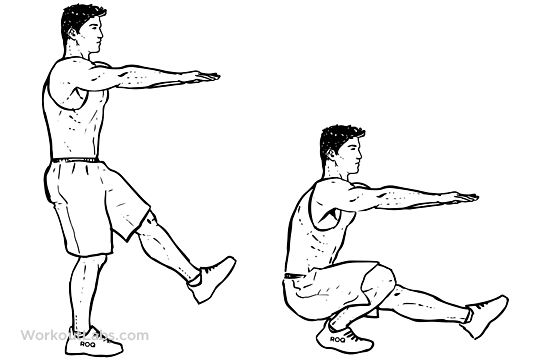 Pistol squats, It goes same just with one leg on the ground like it shown on the pictures bellow. Do sit ups like it´s shown in pictures, so try to go with your ribs toward the hips. Don´t just straight you body and rise him towards your knees, many people do it that way, it´s wrong. Some advice, I will not do any exercises with weights until I can perform at least 5 pull ups, 5 dips and 20 push ups, but do it harder way not easy way. When you can do it hard way ,you can think about some weights if you want, but you can stick with this. Even if you decide to start with some weighs put these exercises in your routine. These is routine for bodyweight training. Do these exercises one after the other ,4 times every exercises and between every circle you can rest 1-2 min not more. example: Pull ups, push ups, dips, squats, sit ups , rest . repeat that 3 more times. That is it. Try do these routine at least 3 times per week ,if you can, do it 6 time per week. Just adjust this to your daily routines, if you have time to do it 6 times per week but you are too tired and your muscle are sore than do it every other day. These are exercises that will not perform just beginners, but everybody. With some modifications you can stick with these for years and progress .